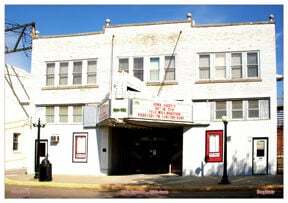 The board of directors of the King Opera House are launching a fund drive to begin major renovations to the 116-year-old building with a mass mailing that goes out next week. Over a half million dollars has already been spent purchasing the building, putting on a new roof, putting up new stage curtains, improving lighting, adding a state of the art projection system and making significant improvements to the concession stand. A private donor family, Larry and Debbie Pillard, contacted the board and offered $100,000 to combine matching to begin Phase 1 of the construction process for restoration. The goal is for the restoration project to take place in three phases, with the first phase involving restoration of the front of the building, re-constructing and refurbishing the lobby and concession stand area, relocating and installing new bathrooms and adding new HVAC to the front of the building. With a structural engineer already providing a report and an architect hired, the plan is to begin Phase 1 this spring. Knowing it will take a community effort, the board is seeking resources to complete Phase 1. Contributions will help keep King Opera House as the center stage for providing education in cultural and fine arts events, as a major site for productions and live performances, and as a social avenue for quality movies and community activities.